The US United Steelworkers Union, with headquarters based in the heart of the US rustbelt in Pittsburgh, is estimated to have approximately 860,000 members across a range of manufacturing industries in Canada and the US, making it the single largest trade union in North America. Like other American labour bodies it was forged in the era of the Great Depression and the following decades, its members going on strike on a number of occasions in the 1930s and 40s in an ultimately successful effort to win the right to collectively bargain with employers. On October 27, 2009 the Union announced it had reached an agreement with the Mondragon International SA. Co-operative based in the Basque region of Spain to explore the possibilities of establishing worker-owned co-operatives in the US and Canada, organised on the principles established by Mondragon’s founder Fr José María Arizmendiarrieta. As noted in last week’s editorial, Fr Arizmendiarrieta had arrived in Mondragon in post-Spanish Civil War Spain in 1941 to find himself confronted by widespread poverty and economic depression. Fired by the still relatively new development of Catholic social teaching contained in documents such as Pope Leo XIII’s Rerum Novarum, his solution had been to establish worker-owned manufacturing co-operatives, philosophically based on concepts such as human solidarity and the inherent dignity of the human person, and to train the first generations of their leadership. The idea behind the Mondragon co-operative movement had been the concept of employees owning the companies for which they work and participating in key decisions on the basis of one-worker-one vote. With employees owning the businesses for which they work, a range of ancillary benefits, including healthcare and education for family members come along with membership. Under the Mondragon model, management is sourced as far as possible from within the pool of employees and reports annually not to shareholders but to the worker-owners. The first small polytechnic established by Fr Arizmendiarrieta produced five graduate managers who went on to form the first Mondragon co-operative, Ulgor, which manufactured small kerosene stoves. 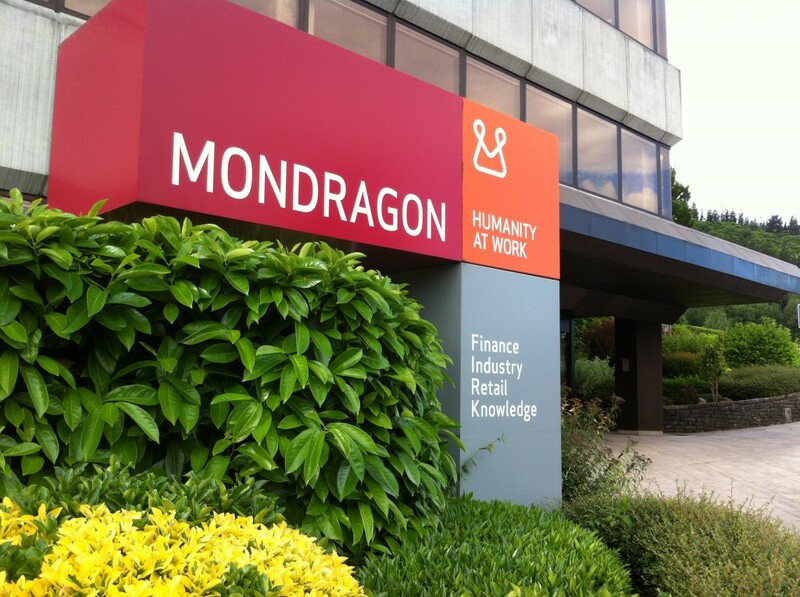 Today the Mondragon Co-operative is a multi-faceted entity with manufacturing, retail, finance, research and education arms which in a post-GFC world last year posted an annual turnover equivalent to US$ 16.8 billion. That the Global Financial Crisis of 2008 changed many previously deep-set perspectives in relation to thinking on global economics and finance can be seen in the remarkable nature of the agreement between the USW and Mondragon. On March 26, 2012, the USW, Mondragon and the Ohio Employee Ownership Centre released the detailed model for establishing sustainable jobs using the model of worker ownership and the collective bargaining process. Such a development would be previously unthinkable in a nation such as the US where many neo-conservatives see government intervention or regulation of economic processes as the practical equivalent to Cold War Communism while the psychological legacy of McCarthyism still lingers on in the widespread suspicion of trade unionism and organised labour as one step away from North Korean style totalitarianism. It is perhaps possible that one silver lining to the dark cloud of the GFC is the way in which its fallout has forced many to consider new alternatives. As on previous occasions, such as the Great Depression of the 1920s and 30s, the GFC demonstrated with transparent clarity that the central plank of unregulated market capitalism’s creed, that greed will naturally determine social harmony and social justice via the market, was always a lie. In Mondragon’s home country of Spain the cost of entrusting global finance and economies to capitalism’s financial cowboys is frighteningly clear: unemployment currently stands at 27.6 per cent while youth unemployment across Spain is at 56 per cent. The picture is more or less the same across Europe, even worse in Greece where youth unemployment is at a staggering 65 per cent and getting worse. One of the clear dangers is the potential for political previously unacceptable political extremism soaring to new heights of popularity by claiming it will put bread on tables and provide jobs. In the meantime, the USW-Mondragon agreement offers a clear alternative with an established record of economic success based on the most important philosophical principle: the primacy of the human person rather than the primacy of the market; that the market, in other words, exists to serve the human person – not the reverse. When Ford Australia announced its planned 2016 closure of its Broadmeadows and Geelong manufacturing and assembly facilities it was following the logic of unrestrained and unregulated capitalism – that, ultimately, workers, their families and their families’ futures do not count in the eyes or the interests of shareholders and executives. Both the Mondragon model and the USW-Mondragon agreement show what might be possible. Tony Abbott’s assertion that under a Liberal Coalition Geelong will be a centre of culture and education was nothing more than pre-election fantasy. Julia Gillard’s vow to provide $16 million for workers when Ford Australia closes was a wet lettuce leaf. This moment is a golden opportunity for the Australian Manufacturing Workers’ Union to bring to the table new possibilities no-one appears to be yet considering.